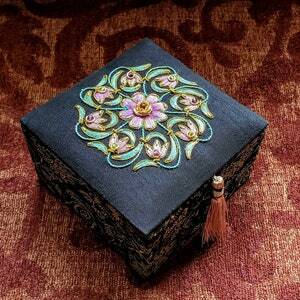 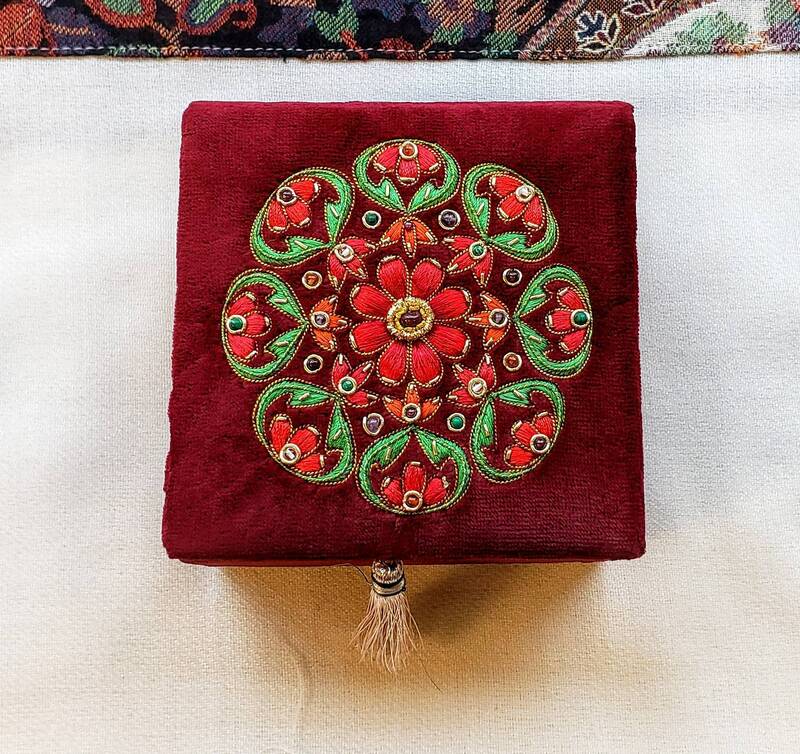 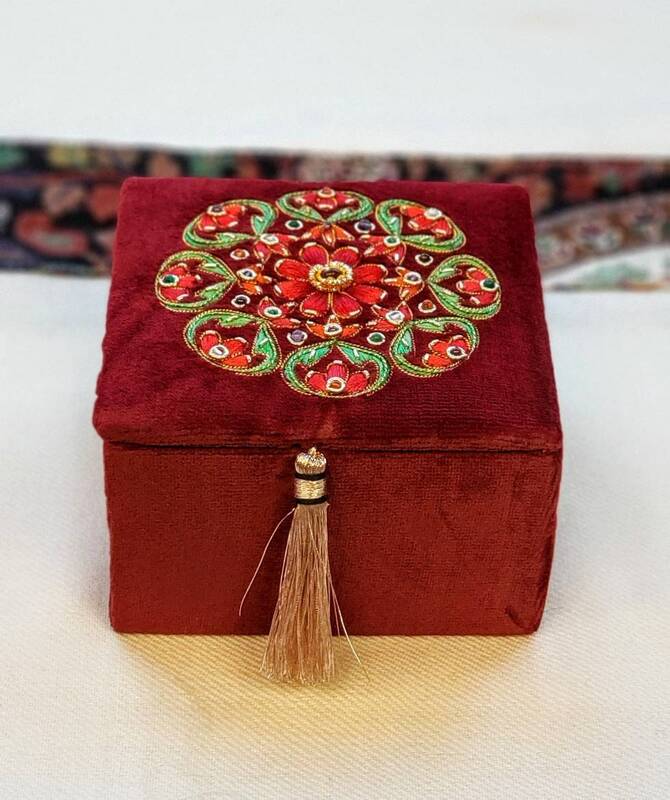 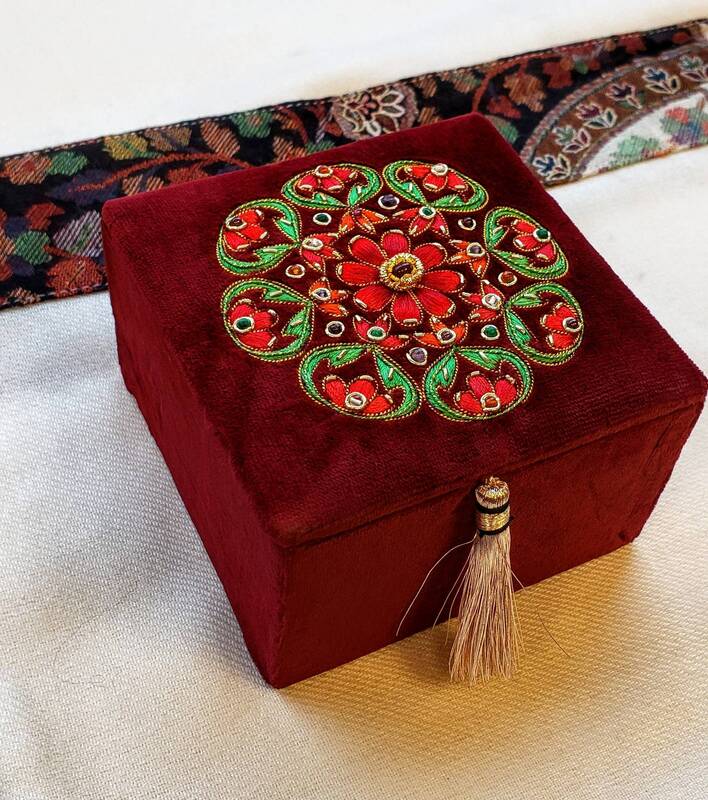 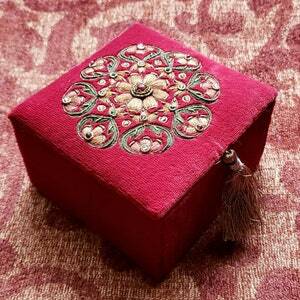 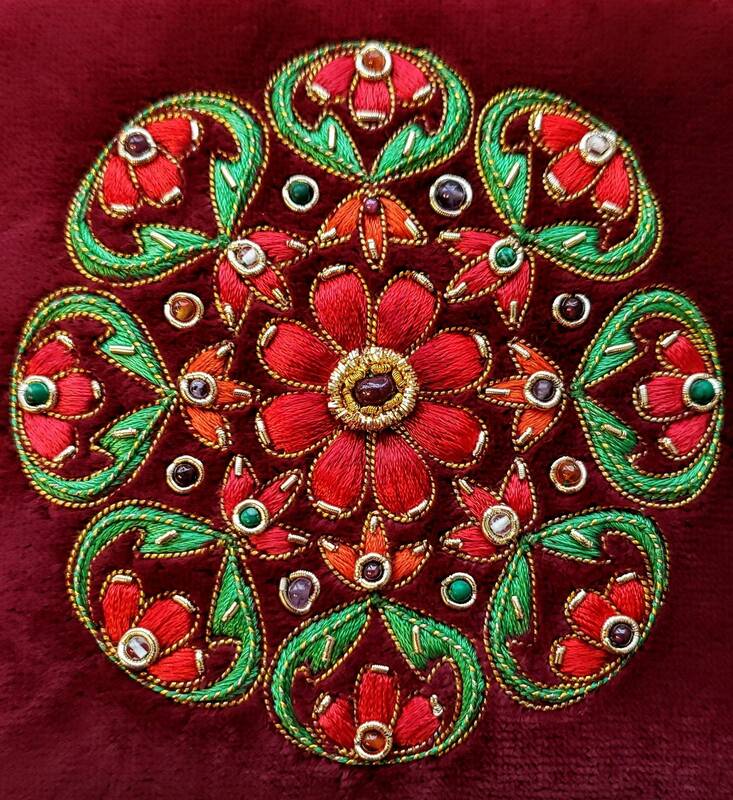 Hand crafted and hand embroidered, this exquisite jewelry box provides just the place to store your worldly keepsakes and special momentos. 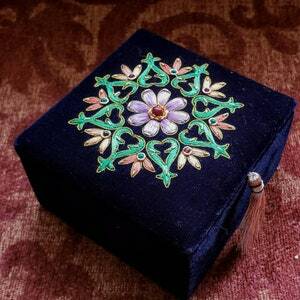 It is as much a treasure as the items you store in it. 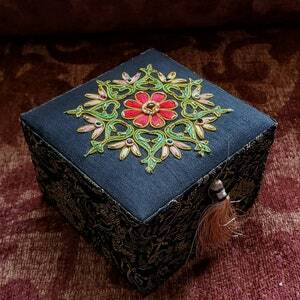 Makes a gorgeous and memorable ring box for engagement, wedding or ring bearer. 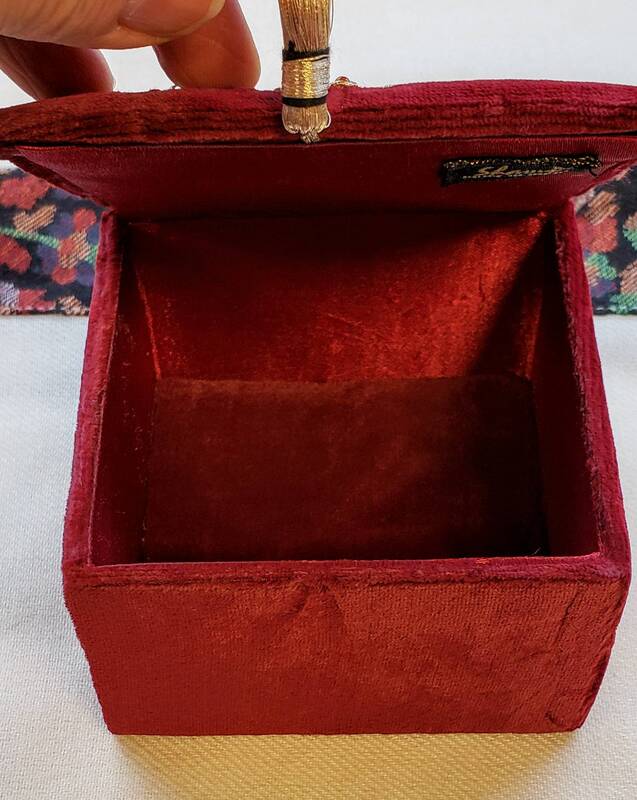 Or a unique bridesmaid gift or presentation box. 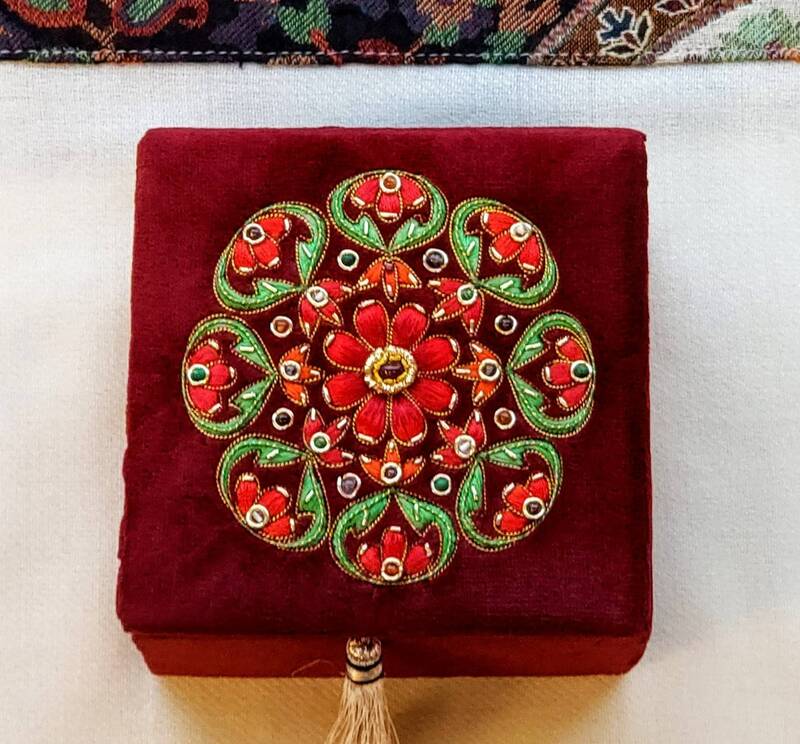 - approximately 4 x 4 x 2.5 "